Product prices and availability are accurate as of 2019-04-23 17:41:08 EDT and are subject to change. Any price and availability information displayed on http://www.amazon.com/ at the time of purchase will apply to the purchase of this product. Growing Info: Scarification: Soak in hot tap water, let stand in water for 2 days. Stratification: none required. Germination: sow seed 3/8" deep, tamp the soil, mulch the seed bed. Other: germinates best with diurnally fluctuating temperatures between 70 and 50 degrees F. If hot water does not allow the seed to imbibe, nick the seed carefully and soak again in warm water. 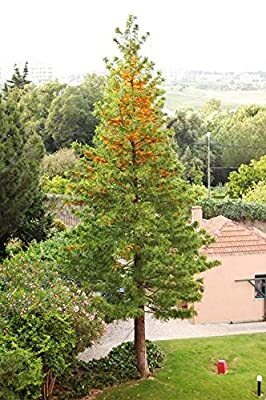 Grevillea robusta , commonly known as the southern silky oak or Silky-oak , or Australian Silver-oak , is the largest species in the genus Grevillea . It is a native of eastern coastal Australia , in riverine, subtropical and dry rainforest environments receiving more than 1,000 mm per year of average rainfall. It is a fast growing evergreen tree, between 18-35 m tall with dark green delicately dented bipinnatifid leaves reminiscent of a fern frond. It is the largest plant in the Grevillea genus, reaching diameters in excess of one metre. These leaves are generally 15-30 cm long with greyish white or rusty undersides. 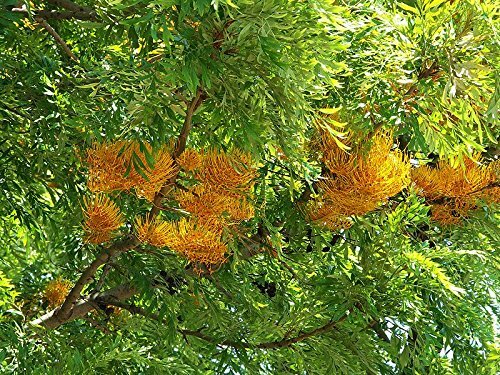 Its flowers are golden-orange bottlebrush -like blooms, between 8-15 cm long, in the spring, on a 2-3 cm long stem and are used for honey production. 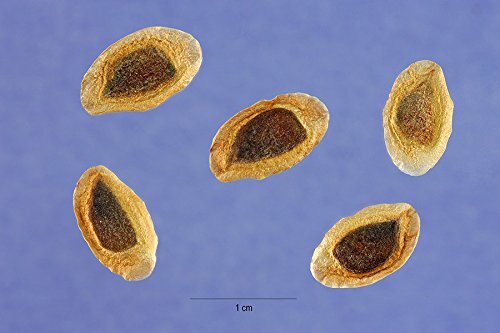 The seeds mature in late winter to early spring, fruiting on dark brown leathery dehiscent follicles, about 2 cm long, with one or two flat, winged seeds.